I remember the first time I ate a fig. It was actually in Japan. Before that, the only figs I had tasted were inside of a cookie, so this was kind of a big deal. If you've never tasted one, I recommend tasting them fresh first. Just take a bite of the soft flesh and get to know the naturally beautiful sweetness as it sits on your tongue. After that, try it in all it's best forms: jam (duh), stuffed with goat cheese and wrapped in prosciutto, sliced on a grilled cheese sandwich, or simply broiled with a lovely miso glaze. Yes, Miso Broiled Figs are worth trying. They have the same salty-sweet combination you would get from wrapping them in prosciutto or bacon but it is slightly more subtle and takes a lot less work. I've decided that this just might be the perfect new addition to a cheese platter with a nice crisp glass of rosé. This recipe was inspired by one of my favorite traditional Japanese dishes, nasu dengaku, or Miso Broiled Eggplant. The miso glaze is simple to mix together and not only works wonderfully on figs and eggplant, but can be used to glaze fish, chicken, pork, or beef. I like to make enough to use several times throughout the week. The only change I made to my miso glaze was to omit the mirin (making this another Go Sugar Free-friendly recipe) and replacing it with rice vinegar and a touch of water. Instead of sugar, I used raw, unfiltered honey but I think pure maple syrup would be lovely with the figs as well. 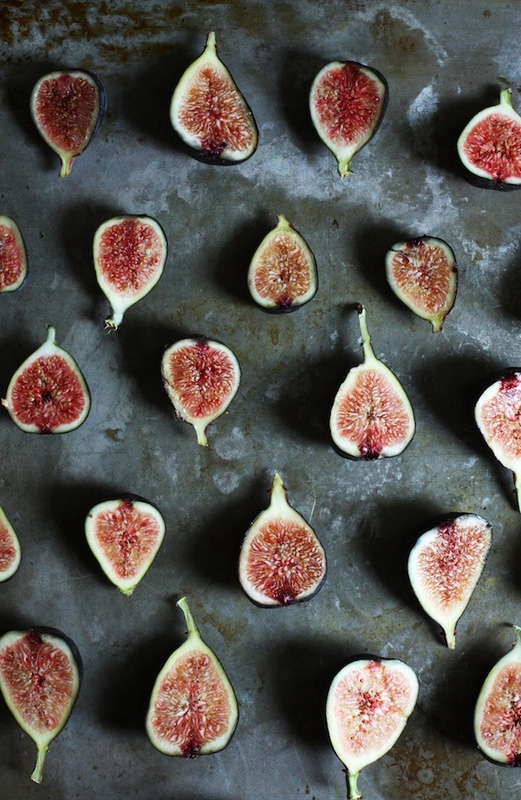 Arrange the figs, cut side up, on a large baking sheet. Place the figs in the oven for 5 minutes. Remove from the oven and turn the broiler to low. Meanwhile, mix the miso paste, honey, vinegar and water together in a small, microwavable bowl. Whisk to combine and microwave for 1 minute. Whisk again until smooth. 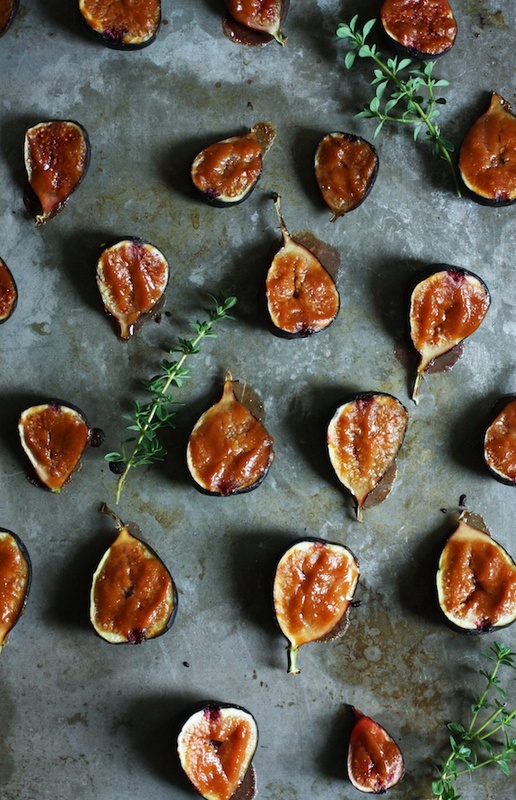 Use a brush to top each fig half with some of the miso glaze. You want enough for a thick coating because some of it will seep into the flesh of the figs and you want some left on top to create a nice, golden finish. Place the glazed figs under the broiler and let them brown for 2-3 minutes or until there are some deep golden spots in the glaze.